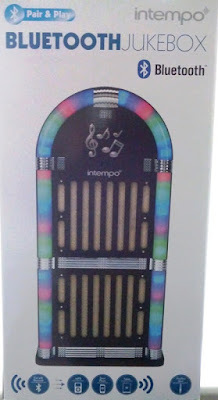 Intempo Jukebox Wireless Radio Speaker With Disco Light Display! I did an article a while back on how the jukebox coin operated machine works and, like I always say it is always great when gadget makers take on traditional retro technology and add a modern twist to them. 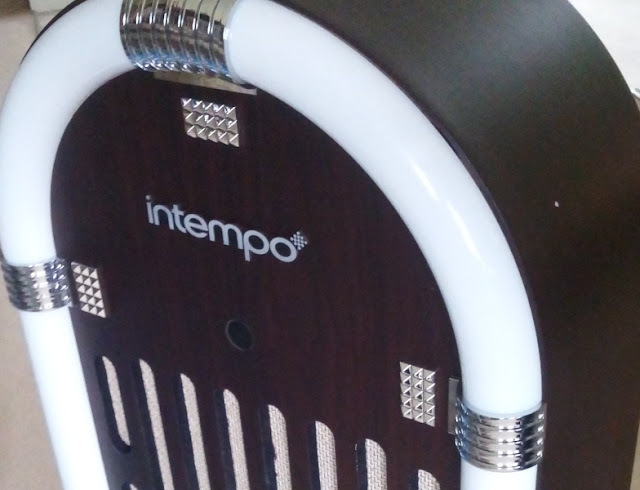 Today I am glad to take a forward step back in time, yet again, with this stunning jukebox wireless speaker by Intempo which has flashing LED lights, as well as Bluetooth connectivity and two auxiliary ports. 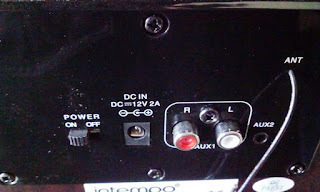 If you do not want to use the Bluetooth pair and play function, you can hook up your TV, Hi-Fi, smartphone or laptop to use the jukebox as a speaker via RCA auxiliary input or jack to jack aux input. 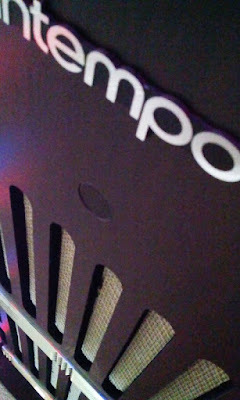 Music plays through four 6 Watt speakers (Impedance – 40OHM) and the FM tuner allows you to listen to radio like you would via a traditional radio. 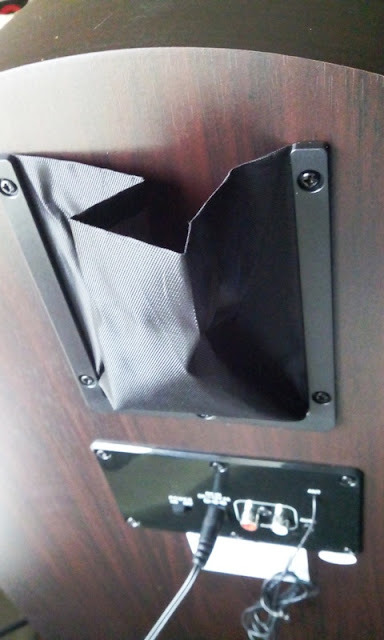 There is also a handy pocket located on the back of the jukebox to keep your smartphone inside when streaming music. 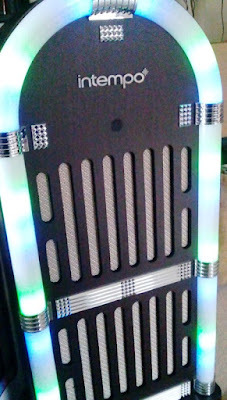 The white tubing around the jukebox looks nice and conceals the LEDs which when turned on really put on a light show display! 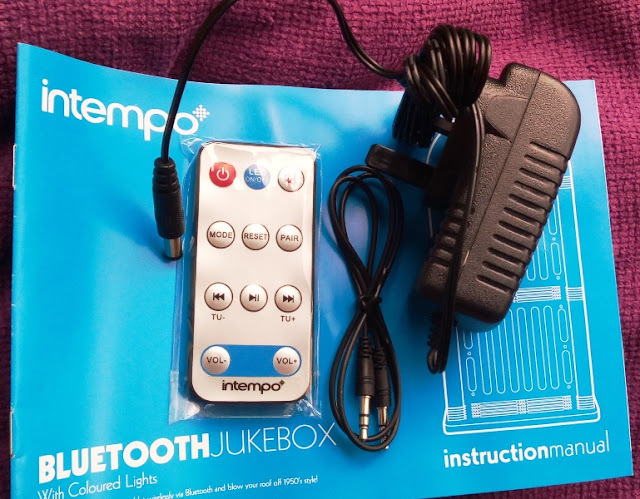 Aside of the Bluetooth jukebox, inside the box you also get a remote control, instruction manual, aux input cable and a UK power adapter. 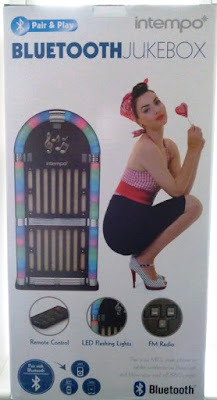 If you are looking for something different to a standard music box system for the home, you will love having this stylish Bluetooth jukebox as a focal point, especially at night when the jukebox comes into its own with the LED disco lights for partying Combined that with the great sound, you can really turn any room of your home into a discotheque/nightclub. 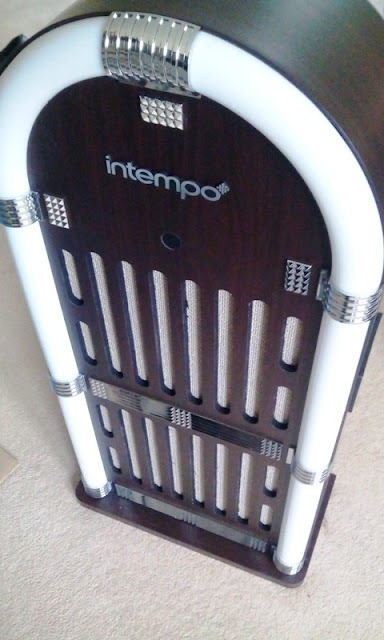 If you have always wanted to get a jukebox style replica without forking out a lot of money, the Intempo Bluetooth jukebox is a great alternative for bringing a piece of funky American style dinner to your home! 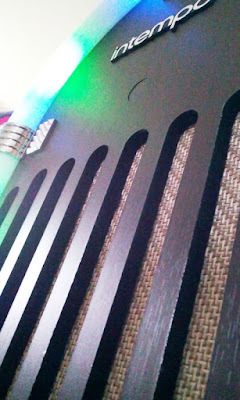 Make sure to also also check out the Tailgate party speaker. 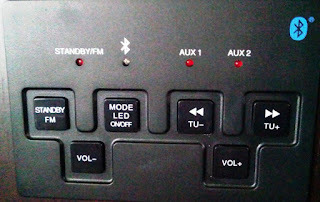 You can remotely control the music sound, FM radio tuning, pairing, lights and power off/on via the included credit card size remote control. The wire aerial cable can be extended to increase the radio signal strength and the lights can be turned off. 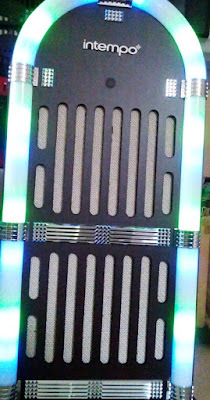 The Bluetooth jukebox measures 83cm Tall, 36cm Wide, 19cm Deep, and weighs around 9kg. 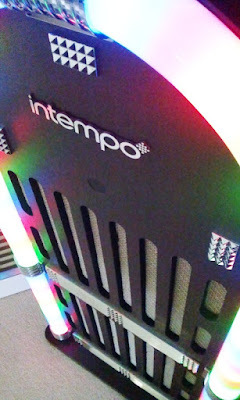 Check out Intempo Bluetooth Jukebox Speaker and grab yourself an exclusive 50% off Intempo range using the discount code GADGET50.